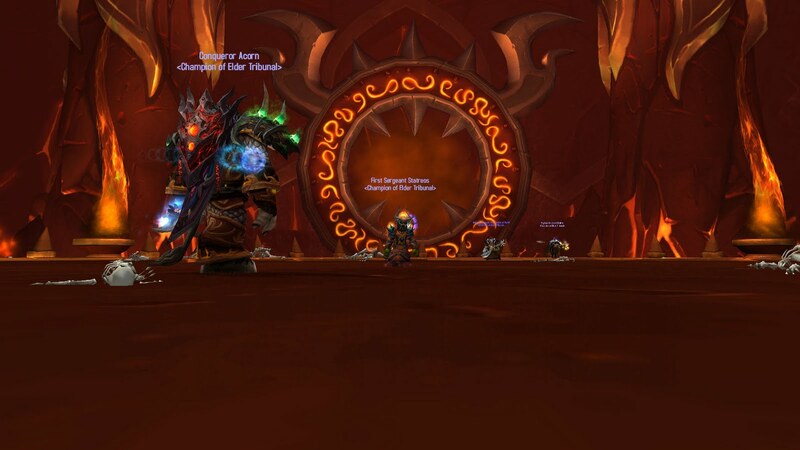 After a second week of looking at Ragnaros, Elder Tribunal has defeated the firelord! Congratulations to Beastmaster, Grinamdord and Statreos on their phat loot, and congratulations to all on a job well done. Unfortunately, they were so eager to get their gear enchanted, only a few of us remained for a screenshot in the firelord's vacant chamber!